Dec 24, 2014 @ 09:00 AM — by Sharon B. Mateja, D.D.S. Considering the degree to which modern cosmetic treatments such as porcelain veneers and full smile makeovers have commanded the spotlight recently, it isn’t surprising that many tried-and-true general dentistry treatments have been overshadowed somewhat in the past few years. Yet, these treatments remain the backbone of the dental industry and, indeed, of good oral health. And without good oral health, you cannot have a beautiful smile, no matter how many cosmetic dentistry treatments you undergo. At the heart of good oral health are solid oral hygiene practices such as brushing and flossing properly at least twice a day and visiting the dentist at least twice a year for thorough oral examinations and professional cleanings, as recommended by the American Dental Association. While many people are careful to brush and floss, far too few actually visit the dentist regularly. This is unfortunate because if they did, they might find that advanced cosmetic and restorative dentistry procedures to conceal their flawed and fractured natural teeth were unnecessary. At the dental practice of Sharon B. Mateja, we want to be your partners in good oral health for a lifetime. Whether your smile is flawless or you have neglected your teeth for years, we want to help ensure that you enjoy the best possible oral health for the rest of your life. That begins with an exam and a cleaning. At our state-of-the-art dental office in Rancho Cucamonga, dental exams and professional cleanings of the highest standard are available. We invite you to discover for yourself exactly how comfortable and patient-centered the dental experience can be by visiting our practice today. Before Dr. Mateja examines your mouth, she will first take a moment to get to know you. She will ask you a few questions about your medical and dental history, including your past dental experiences, any conditions and allergies you might have, any medications you might take, and any apprehensions you might have about undergoing dental work. If you have any special needs or goals, this would be your opportunity to bring them up. A thorough examination of your teeth, gums, tongue, and other hard and soft tissues of your mouth. 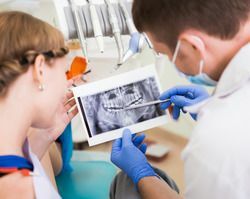 X-rays of your mouth, which will help Dr. Mateja identify any problems with your teeth, gums, and jawbone, which could not otherwise be detected. An evaluation of your bite (how your lower and upper teeth meet and align). A deep cleaning of your teeth and gums to remove plaque and tartar, the latter of which cannot be removed through at-home brushing and flossing. Tips on how to brush and floss more effectively and to maintain your oral health between visits. If any oral health problems are diagnosed, Dr. Mateja will recommend a treatment plan and discuss your follow-up care. Otherwise, you will be asked to return to our office in approximately six months for your next exam and cleaning. To schedule your dental exam and professional cleaning, please contact the dental practice of Sharon B. Mateja, DDS today.